Shenzhen Delex Blinds Co.Ltd was established in 2006 in Shenzhen, Professionally producing window blinds, shades and shutters, building decorative moulding, ceiling board etc. building decoration. Since then, we’ve grown into one of main independent exporter of window treatment and building decorations in China. With extensive knowledge and experience on window and building decorations, we are able to fabricate and provide you with solutions for each and every unique housing and home. 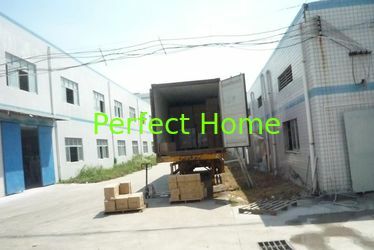 We are confident to meet our customers’ various request. Sticking to the principle of “The client is the first, the quality is the best”, She stays very flexible and dynamic to satisfy different customer needs and provided best service accordingly. We are serving the markets all over the world with tailored solutions in window covering and indoor decoration. 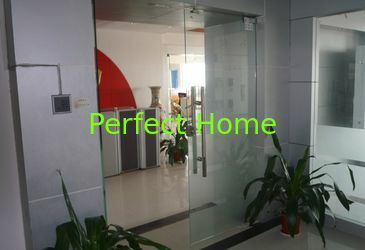 Best Quality…………………Best price on window and indoor building materials, kindly don’t miss us. Shenzhen Delex Blinds Co.,Ltd was established in 2006 year for window blinds and curtains. At the beginning, we produce fabric roller blinds and fabric vertical blinds, wooden Venetian blinds. In order to serve customers in window treatment, we introduce other blinds and curtains production line. In 2008, we developped all kinds of window blinds, shades, curtains. 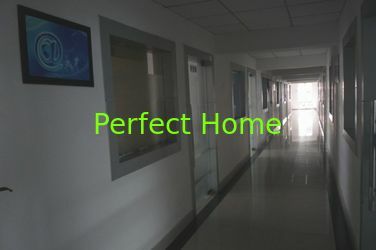 Than Shenzhen Perfect Home Co.,LTD was established in 2010 for adding building decorative materials so that we could solve the decoration for housing and home one-stop and perfectly. We offer “Professional housing and home decorative solution”. We have 10years experience in window treatment and housing decoration. Our products are including Fabric roller blinds, window venetian blinds, vertical blinds, window shades, curtains, shutters, decorative moulding, architectural decorative ceiling board and medallions and blinds machine etc..
We can do these things for you: various patterns, various rails selection, Quality checking, Shipping arrangement, After service. I have been in the line of window treatment since the year 2001. I have rich experience in factory management and marketing management for many years. I have founded Delex window decoration in 2006. I can introduce the best perfect decorative solutions for your home and housing. Ms Jessy Zhang have 10 years experience in purchasing raw materials and selling housing and home decorative products. Ms Jessy have rich experience in meeting customers different needs. In addition, about production quality, Ms Jessy have strong ability to analyze the quality level.